Even before Jaxon Buell’s parents had met, God had a plan in place for his life. It’s evident in a story from when his parents, Brandon and Brittany, first began dating. The couple had much in common, but one hope for the future stands out above the rest. They both felt a calling and a wish to have one child: a son. Amazingly, that’s how life would play out for them. After they married and became pregnant, they learned they were indeed having a boy. And the day after learning this exciting news, they were told that their son was facing a diagnosis that threatened to take his life. But love overcame the obstacles, and on August 27, 2017, Jaxon and his family celebrated his third birthday. During the pregnancy, the shape and size of Jaxon’s head began to cause some concern, and while doctors didn’t have an exact diagnosis for him, they did advise the new parents to abort. Irritated at how quick the doctors were to write off their son, Brittany and Brandon ran all the tests they could and went home to discuss the situation. Brittany was 23 weeks along and the couple was told they had one week to decide whether or not to have an abortion. Doctors told the couple that Jaxon may not survive the pregnancy and if he did he could die at birth. But right from the beginning, he proved to be a fighter. 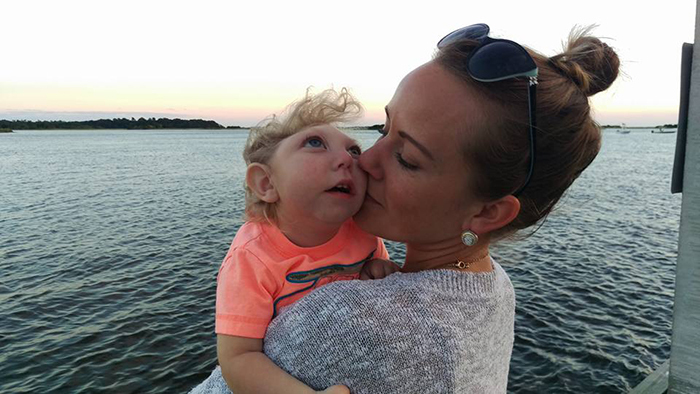 After Jaxon was born, he was diagnosed with Lissencephaly, a rare neurological disorder which means his brain doesn’t have the shapes, folds, and curves that it should. Some people with the condition die early, but some live. The first three weeks of Jaxon’s life were spent in the neonatal intensive care. Doctors asked the couple to sign a Do Not Resuscitate form (DNR) but they refused. They were adamant that they would always do anything they could to keep Jaxon alive, nurture him, and comfort him. When he was released from the hospital, doctors told his parents to simply keep him comfortable because they didn’t believe he would live long. They said he would likely be blind and deaf, never walk or talk. What they didn’t know were the plans that God had in store. Jaxon’s story spread around the globe and a video of him saying “hello” went viral. He has touched countless lives with his adorable smile and big blue eyes. His life and his story proving that life is always valuable and worth living. His father Brandon began speaking at right to life events and leading pro-life workshops, working with both the Family Research Council and the National Right to Life Committee. He shares the story of choosing life for his son and feels it is important for fathers to speak out. As Brandon Buell works to help save children who face a prenatal diagnosis from being killed through abortion, Jaxon is working on meeting some milestones. He attends physical and occupational therapy and is working on using his pacifier which will help him get closer to his goal of being able to eat orally. He switched feeding tubes – a G tube to a G-J tube – this year and has been able to gain weight more steadily. He hasn’t had to be hospitalized in quite a while and is working on rolling over, sitting up, and straightening his legs. He is home with his mom, who has gone back to school to work on her degree. His parents are enjoying life with him, and he with them. “[We want] just for him to remain as healthy as possible, for him to stay comfortable. And to smile like he has and to keep showing that love back to us. That’s what we want every single day, nothing but love and happiness,” said Brandon Buell. The little boy doctors thought should die through abortion is not only proving them all wrong, but he is showing the world that everyone has value and a purpose set in place by God. 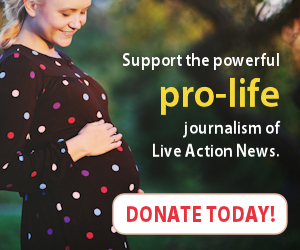 God put the motions into play years ago for Jaxon to be created, to live, and to change hearts and minds on abortion.